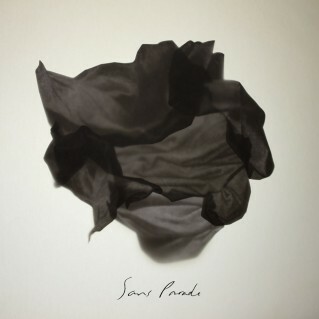 Sans Parade is a new Finnish indie pop act whose music is a mixture of beautiful harmonies, acoustic and electric instruments, and slight electronic flourishes; a beautifully-composed cinematic sonic stew captured on studio and sounding always timeless. They have already been making waves in critics circles based on the strengths of first single tracks; grand songs “The Last Song Is A Love Song” and “Ballet In The Sea” from the debut album. Stylistically, Sans Parade debut album is characterised by strong vocals, highly orchestral, lush instrumentation and swooning pop hooks… violins, cellos, brass section and some exotic acoustic instruments together with traditional synthesizers. Singer Markus Perttula gives a soulful performance full of intuitive swells and fades, his phrasing and pronunciation making his voice a purely sonic instrument. The strength of this set is founded on the clarity of a musical vision that transcends styles to create something utterly enthralling from start to finish. The whole record is one continuous piece. You get lost in it pretty easily, which in this case, is a very good thing!